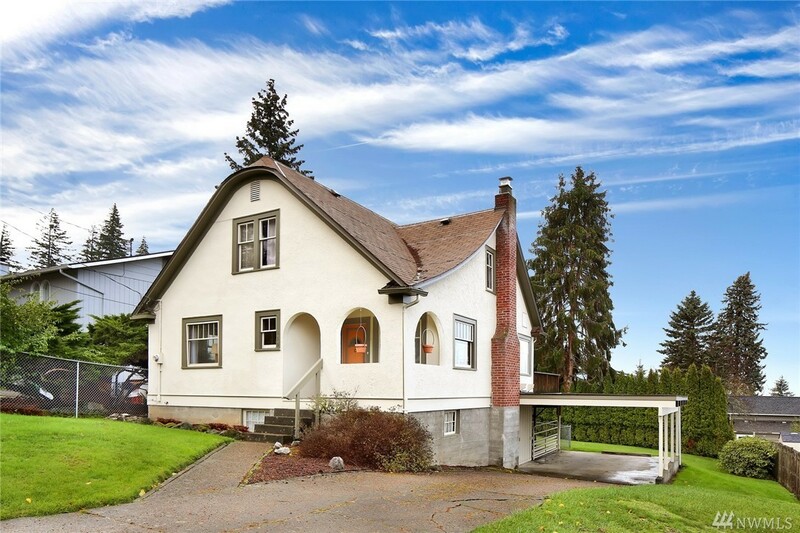 Classic Craftsman w/beautiful oak floors, high ceilings, spacious living/dining area. Cute country kitchen. Large deck off the informal dining area w/sunset and partial bay views. Upstairs has 3BRs with easy expansion possibilities. 819 s.f. daylight basement could add even more living area. Large lot and mountain views. Bathed in light, the charm of this home will entice you and your clients. Upgraded electric system; newer gas fireplace; ADU possible. Curtains NOT INCLUDED in sale of home.